Enter your email address below to receive a notification when Patasbox Deutschland starts accepting new sign-ups! Enter your email address below to receive a notification when Patasbox Deutschland is accepting new sign-ups again. We will send your PatasBox between the 25th and the last day of the month. If you order your box by the 20th you will receive it in the last week of the month. If you order your box from the 20th -25th, you will receive it in the first week of the following month. If you order your box on the 25th, you will receive the box from the following month. 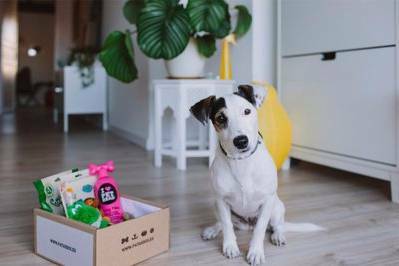 PatasBox is a box for dog parents who want to give the best for their pets every month. 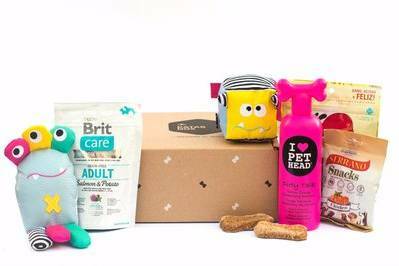 Through a subscription, they can receive every month lots of goodies for their ups (toys, treats, grooming and much more) always tailored to their needs. Besides, PatasBox makes happy other unlucky dogs as 20% of the benefits are given away to shelters. Patasbox Deutschland doesn't have any reviews!